The government is gradually connecting every service with the Aadhaar card, whether it is a mobile SIM connection or LPG subsidy or Aadhar Linking With PF Account. Not only that, the stipend in the government school now also has been linked to the Aadhaar card. It has benefited from the fact that corruption has reduced in many places but at the same time, the risk of data leakage and misuse of your base has increased. So it is very important to know where the Aadhaar card is being used. There are some steps that you need to do and can easily find complete information. Do you know when and where your base card was used? 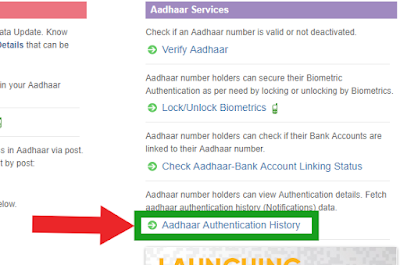 From the website of the Unique Identification Authority of India (UIDAI), you can check when and where your Aadhar card is used. This post will let you know how you can be on the safe side. The government is linking the Aadhaar card with its every scheme. The base has become your biggest identity. In this case, your Aadhaar may also be misused. You can also lock your biometric detail. No one will be able to misuse your Aadhaar. UIDAI [Unique Identification Authority of India] website is the only website where people of India can authenticate whenever he or she wants. UIDAI website allows two types of offers which is e-KYC & Authentication services. Demographics – Name, Address, Gender & DOB. Biometric – Fingerprints & Eye Scan. How To Check Aadhar Card Misuse? Step 1 – Firstly, the visitors have to go to the official UIDAI website in order to start the process. 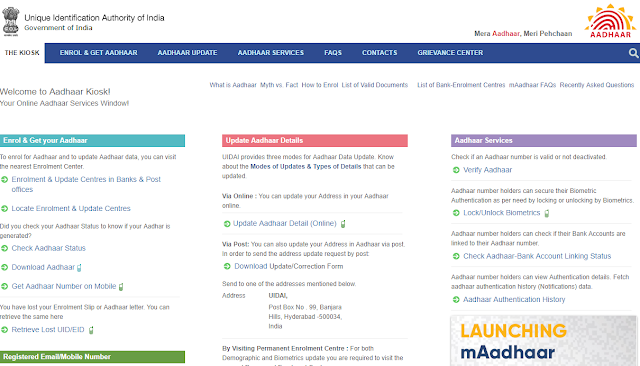 Step 2 – Now, when you are on the main window, you can see the “Aadhar Services” on the right side of the page. Step 5 – The moment you hit Generate OTP you will re-direct to a new window and during the redirection you’ll receive the OTP onto your registered mobile number. Here on the new form, you can choose Authentication types either you can select all types. Note: If you notice something wrong in it, then complain about it. The details can also be locked online. Can you please tell me how much Provident Fund is Deducted from my Salary? The contribution of both the parties (employee & Employer) is 12% of the basic salary plus DA [Dearness Allowance] into your EPF account. The 12% contribution made by the employee entirely goes into EPF account along with the employer contribution which is 3.67%, Because 8.33% of your employer’s contribution goes to the Employees Pension Scheme. If the basic salary of the employee is more then INR 6,500 /month, then your employer will only contribute 8.33% of 6,500/- to your EPS and the balance goes into your EPF account.